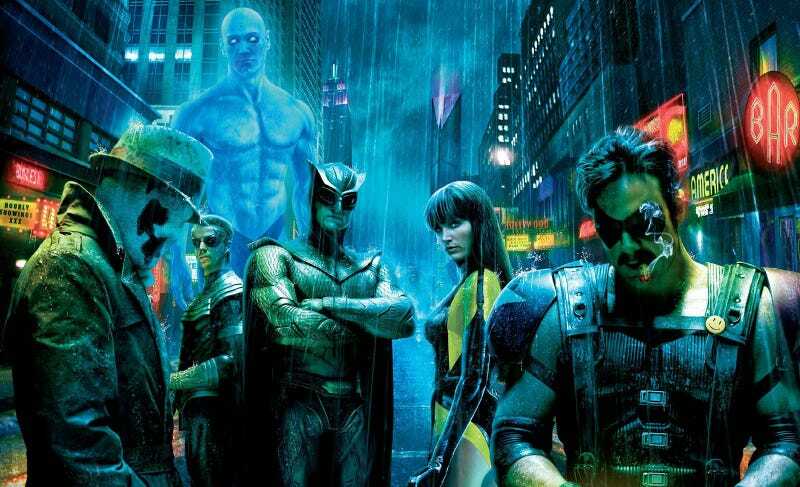 There was a while where it seemed like Brazil director Terry Gilliam would be the one to bring Alan Moore's seminal graphic novel Watchmen to the big screen. It obviously didn't work out, but producer Joel Silver has revealed how Gillaim's adaptation would have ended, and it's bonkers. Silver: ... What Terry had done, and it was a Sam Hamm script—who had written a script that everybody loved for the first "Batman"—and then he brought in a guy who'd worked for him to do work on it [Charles McKeown, co-writer of "Brazil"]. What he did was he told the story as-is, but instead of the whole notion of the intergalactic thing which was too hard and too silly, what he did was he maintained that the existence of Doctor Manhattan had changed the whole balance of the world economy, the world political structure. He felt that THAT character really altered the way reality had been. He had the Ozymandias character convince, essentially, the Doctor Manhattan character to go back and stop himself from being created, so there never would be a Doctor Manhattan character. He was the only character with real supernatural powers, he went back and prevented himself from being turned into Doctor Manhattan, and in the vortex that was created after that occurred these characters from "Watchmen" only became characters in a comic book. So they become... cosplayers? Of themselves? I have no idea how I feel about this. Although I did kind of think the comic's giant interdimensional death squid would have been right up Terry Gilliam's alley.